Cool! Nice to go old school Japanese. Also cool that Uhaul rents trailers for bikes, handy to know. I can see how the crosstown got killed by the Jeep division though it's a pretty cool prototype. I certainly would have taken a look, like how the windshield folded under the front hood and I can see the sort of family resemblance but I highly doubt that vehicle would have poached any Wrangler sales as those buyers are pretty much set already on what they want. Well, I did it again! I sold the Buell Blast and now I bought myself a Goldwing! I got it for the price I sold my Buell Blast for. And me on it after I got the engine running again (it had sucked up some water through the reserve. Don't worry, I only rode it in slow laps around my condo complex. I don't do street riding without a helmet. That brings my count to three. I have these two vintage bikes and that white scooter from the OP. 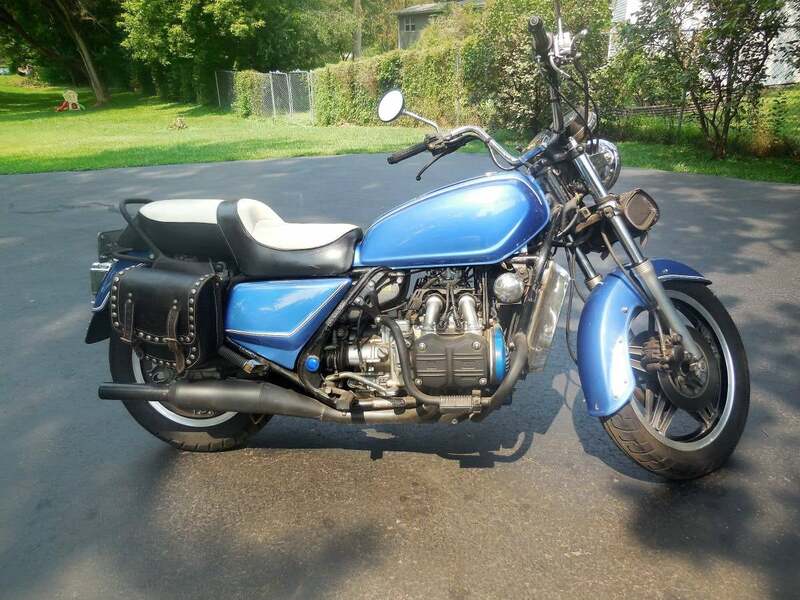 A Goldwing!? Are you planning to do some touring? 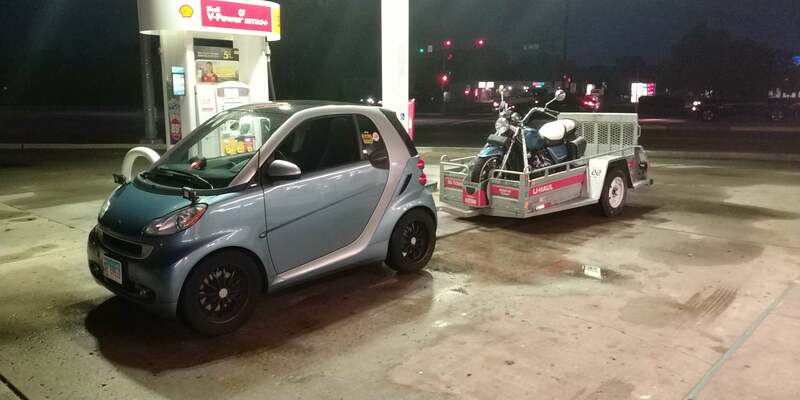 You do realize that two of your bikes have more horsepower than the 451 smart? P.S. I like the Suzuki... I prefer the styling of that era to today's crotch rockets and customs... and a lot more comfortable to ride. For as much as I loved the agility of a modern sportbike, the looks leave much to be desired and the ergonomics...ha...just kidding, there are no ergonomics on a modern sportbike! Any more than an hour of riding and I get so sore. Meanwhile, the Suzuki is basically like piloting a sofa that can easily break 100 mph in style. 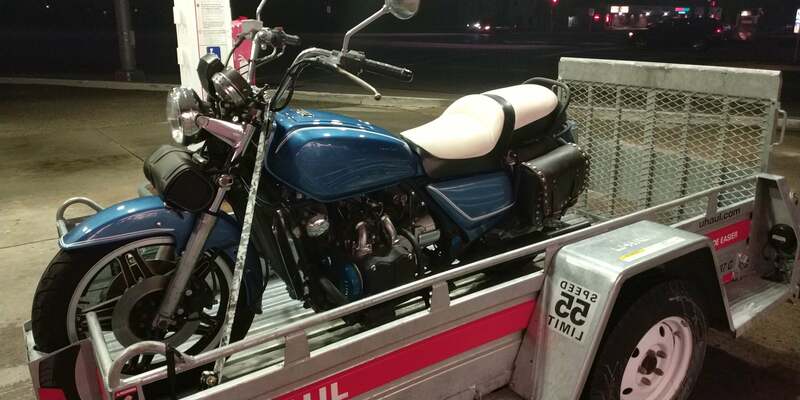 What sold me in the Winger was the fact that this resto-modded one has a similar style to the Suzuki, is more powerful, and is even more comfortable. I can scratch my speed itch and gobble up as many miles as fast as I want with a smile on my face. It also doesn't hurt that the paint is so beautifully new. Next, you should buy a motorcycle trailer as often as you rent from U-Haul. 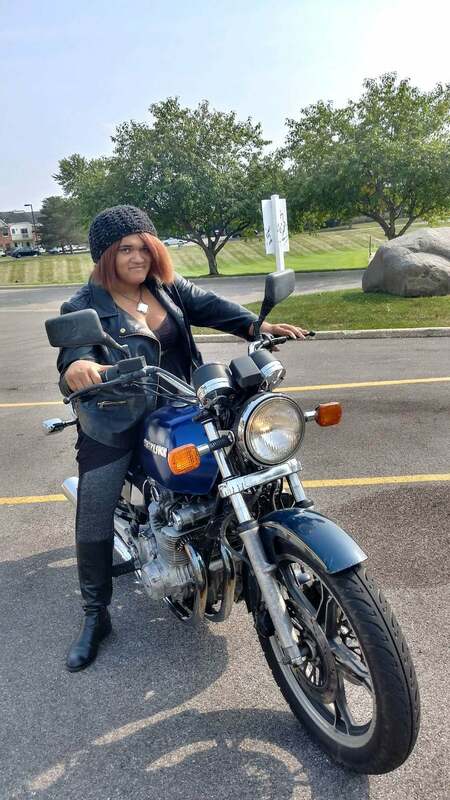 Did you say you are thinking of riding in winter, in Wisconsin/Northern IL? I'd recommend against that. 2 wheels and slippy roads don't mix! And even when the road is dry and clear, dealing with the cold is a bear - and patches of spilled road salt on curves can be treacherous too. I know as I've been (electric!) motor scooter commuter for years. But save for those occasional nice days, I keep it in the garage from December through March. The Goldwing is a sweet stratolounge long hall impossible to destroy two wheeled wonder. They have tons of potential to do a cafe style look (IMOP) . Enjoy putting some miles on that one . 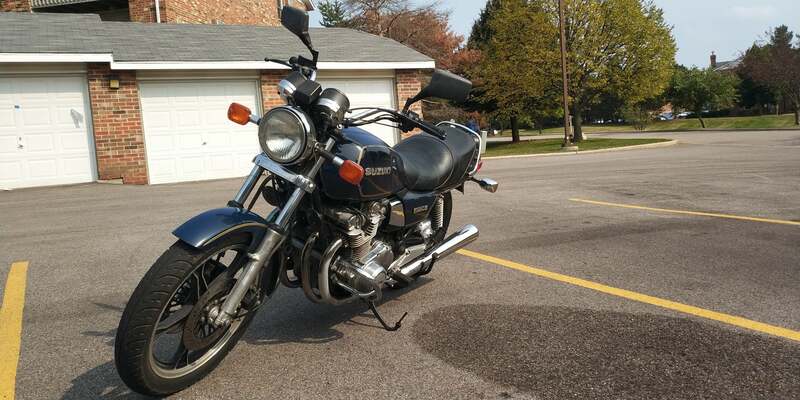 You got me looking on my local CraigsList at Goldwings... just out of curiosity, mind you. I was shocked to see how many were listed... with a number of them going from $800 up to $2500. Tempting, but I don't need another bike at this point and my touring days were almost 40-years ago. Too many crazies on the roads these days... I'll piddle about on the trails where things are a lot safer.